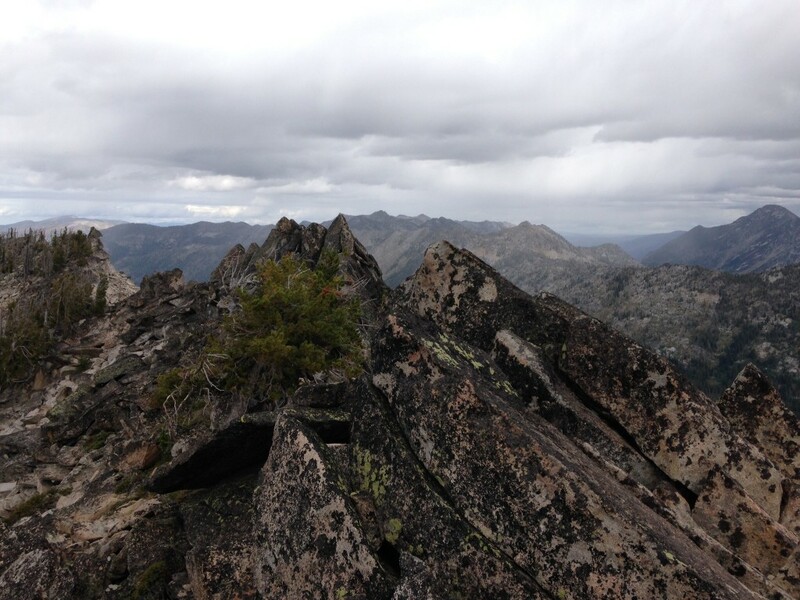 The area of the western Salmon River Mountains known as the Lick Creek Range is a complicated mass of ridges, summits and drainages. 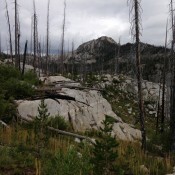 Much of this area was once covered by dense forests but over the last couple of decades the area has suffered large forest fires which have opened these granite mountains up for viewing. 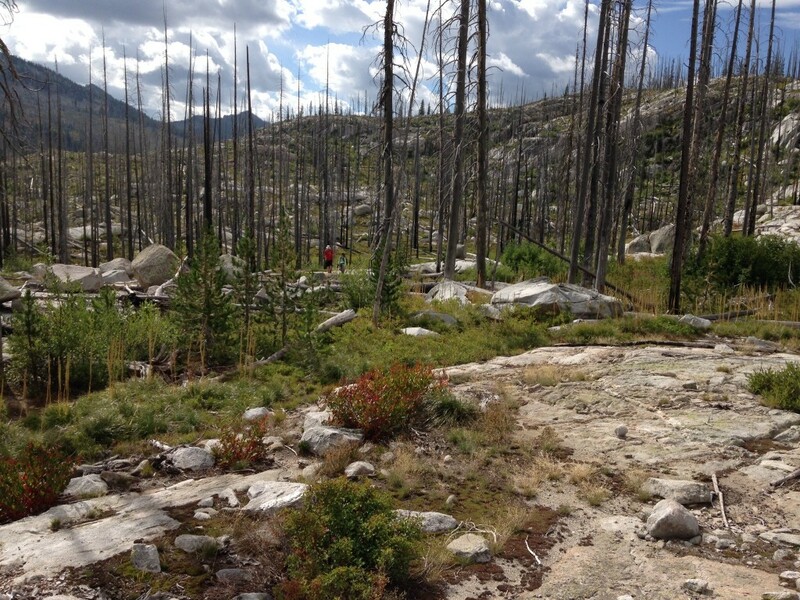 The section of these mountains between Pearl Peak (the Pearl triangulation station) and Beaverdam Peak (found on the Box Lake USGS Quad) is one of the most spectacular ridge lines opened to viewing by a forest fire. 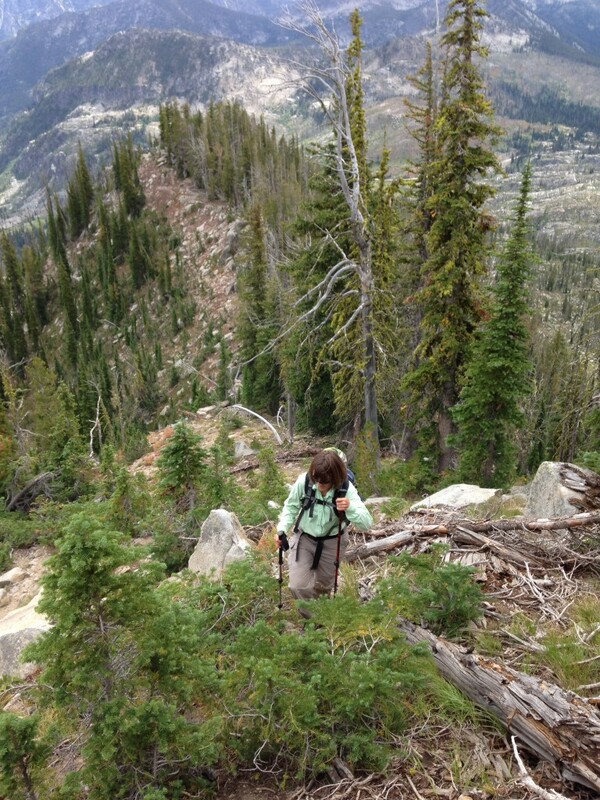 There are five points along this ridge that are great destinations for scramblers: Pearl Peak, Peak 8610 (Paintbrush Peak), Rain Peak, Peak 8614 (Burnside Peak or South Rain Peak) and Beaverdam Peak. 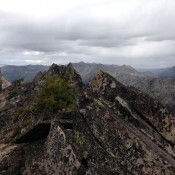 Burnside Peak from Lick Creek Summit. Burnside Peak sits 1.0 miles south of Rain Peak. 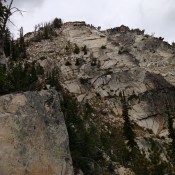 This peak has slightly more than 200 feet of prominence between it and Rain Peak but due to the distance and the rugged nature of the connecting ridge, it clearly is deserving of separate peak status. 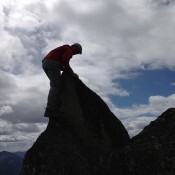 East Ridge Route. Class 2-3. 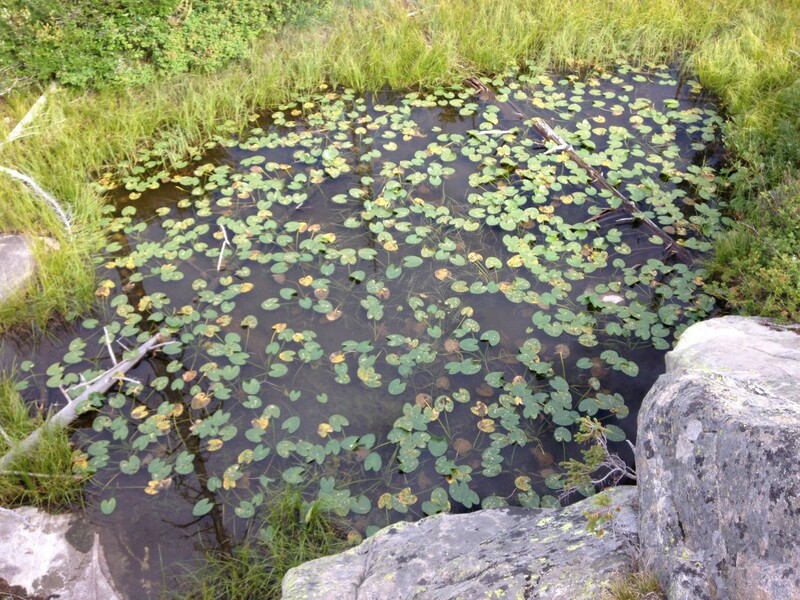 The east ridge can be reached from several spots along the Lick Creek Road or from the trail to Duck Lake [(B)(3)(c)]. I recently climbed this peak with John Platt, Art, Carol and Tegan Troutner and Andrew Chiles leaving the road at Lick Creek Summit. We took this route to the east ridge rather than the easier Duck Lake approach to see new country on some of our parts and to revisit the country on John and Art’s part. 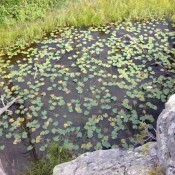 Despite the effects of the recent Forest fires this country is full of wonders, like this pond near Lick Creek Summit. In late August you will also find more huckleberries than you could ever eat. 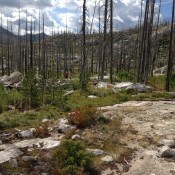 Bushwacking through the burned sections of the Lick Creek Range is a bit easier than before the fires because you can see where you are going. 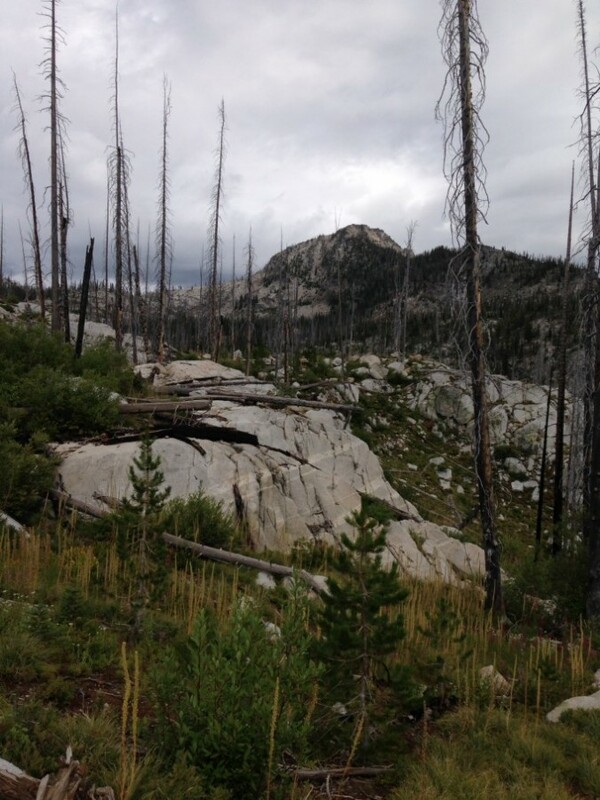 Nevertheless, it is not easy walking as the granite often forms undulating terrain and you are constantly crossing downed trees. From the Burnside Lake drainage the climb to the ridge top is steep. Once, on the ridge the route to the peak’s summit ridge is straight forward. 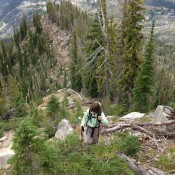 Carol Troutner ascending the ridge. The final climb to the summit ridge goes up from this point where the east ridge melds into the east face. 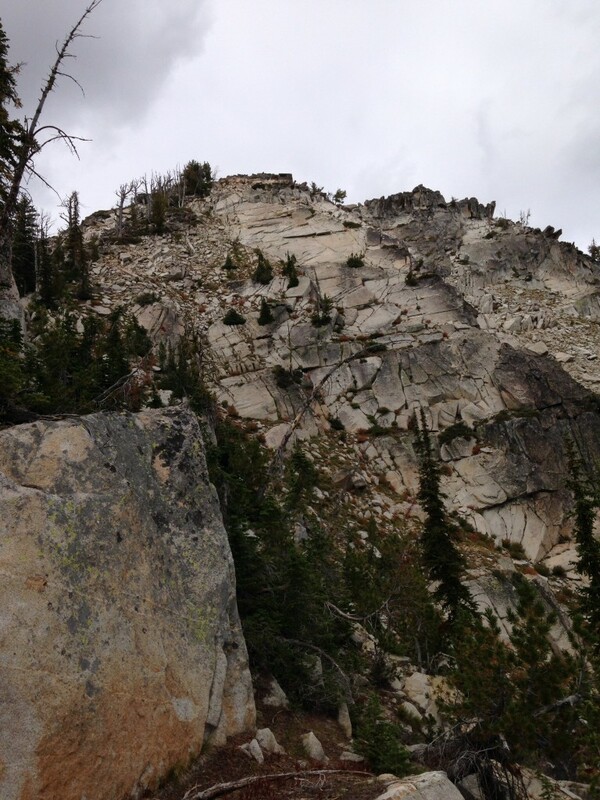 The peak’s summit ridge is formed by an assortment of granite blocks. There are at least two points which might be the highest. The tip top is easily reached on its northeast side. 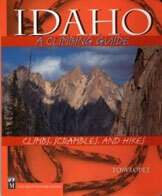 See John Platt’s trip report. 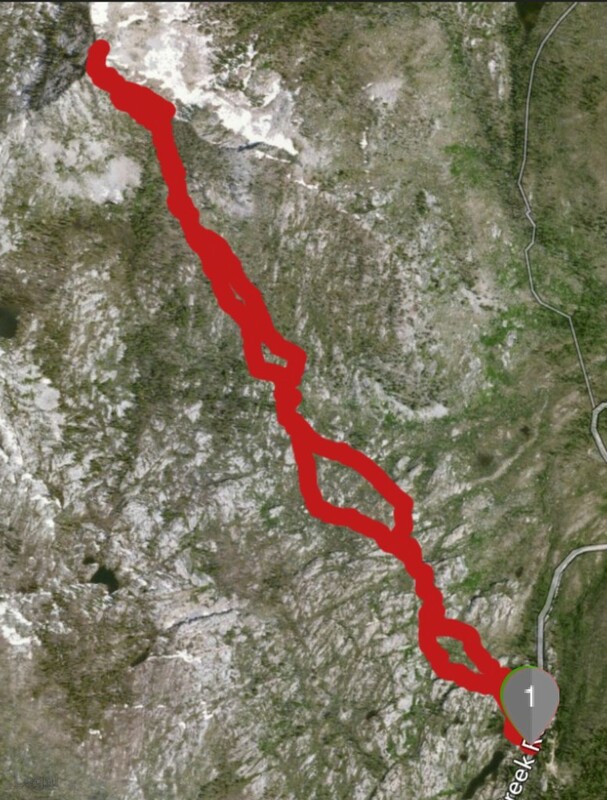 Our route took us 5.8 miles round trip with 2,418 feet of elevation gain. The cross country travel to the base of the east ridge ate up a lot of time as we trudged up, down and around obstacles. 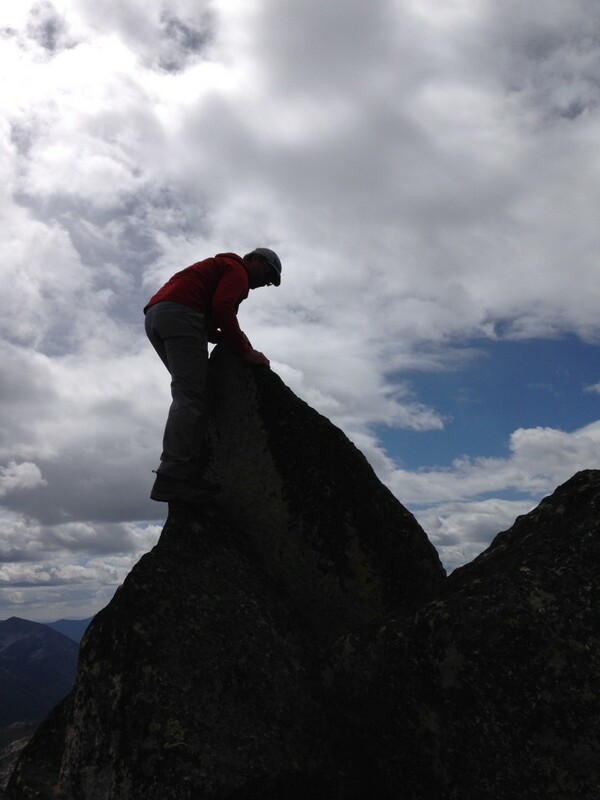 The total moving time was only 3 hours but between eating huckleberries and sitting on the summit, we used up 6 hours. 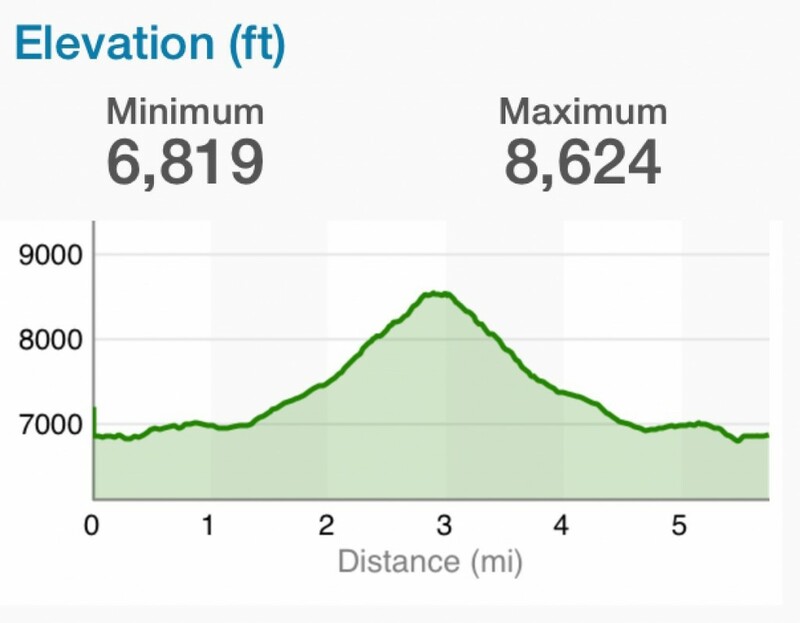 Our route from Lick Creek Summit to the top.